It is a real honour (with a “u”) to lead the team at the Global Institute for Water Security. As I meet people from around the world, it has become very clear that the University of Saskatchewan – and GIWS in particular – has a rapidly growing reputation. It has also become clear that the reputation of the “friendly Canadian” is a real thing, and I truly appreciate the warm welcome that I have received since my wife Cathy and I moved north in the summer of 2018. I am proud to be the Canada 150 Research Chair in Hydrology and Remote Sensing along with my new role as Director of GIWS. I’d like to first recognize the enormous contributions of GIWS Founding Director Prof. Howard Wheater. Many of us would not be sitting in GIWS, or at the U of S at all, if it were not for Howard’s vision and leadership. The growth in hydrologic research at the U of S during Howard’s tenure is likely unsurpassed by any other academic institution in the world. Moreover, those of us who attended Howard’s farewell symposium in March 2018 know just how loved and respected he is, and how much he will be missed. Importantly, Howard has left us with a great gift - a vibrant and healthy GIWS - and it is now up to us to take the next steps in its evolution together. I believe we are all quite fortunate to be in one of the best places in the world to study water. I am so pleased to see so many young scholars devoting their careers to stewardship and sustainability of water and the environment. Your timing could not be better. Across this nation and the world, we are faced with a daunting array of water quantity, quality and management challenges. 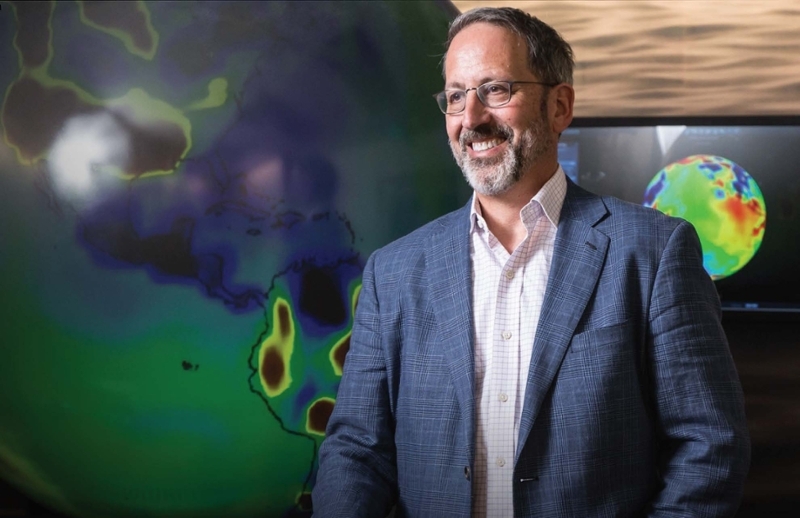 I know this all too well from my own research at NASA’s Jet Propulsion Laboratory and at the University of California, Irvine: my team uses satellites and develops computer models to track how freshwater availability is changing around the world. The picture that emerges, from your research and from mine, is often not a pretty one. That is precisely why we need your continued efforts towards excellence in research. Additionally, I firmly believe that we all need to work towards being better science communicators, and I expect that science communication will be an emerging growth area with GIWS. We have a shared responsibility to educate the public and to raise awareness around those critical water issues where we have expertise.